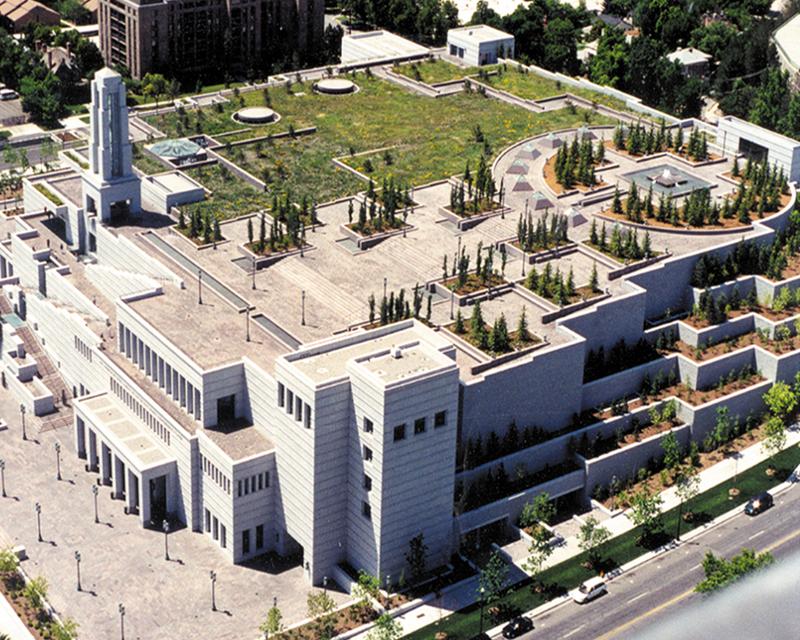 LDS Conference Center - American Hydrotech, Inc.
From the start, The Conference Center was a massive undertaking — an immense auditorium with over 21,000 seats. 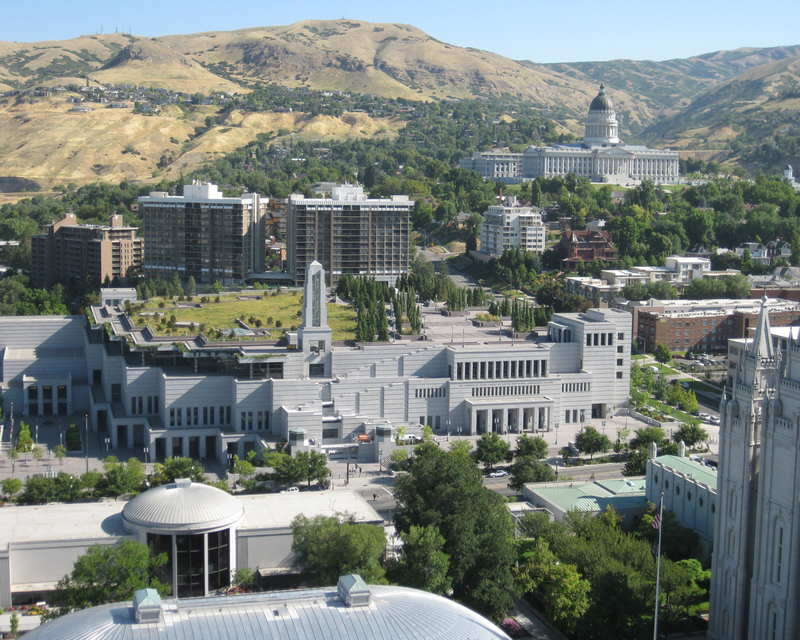 Needless to say, the time and collaborative effort required to complete the project, situated on a ten acre site in downtown Salt Lake City, were well above average. As was the impact of August 11, 1999. Though it seemed like a regular Wednesday, with 1,000 workers on site, a tornado swept through the area within minutes, taking down a tower-crane and hurling debris at furious speeds. That only four people were injured, and none seriously, is fortunate indeed. 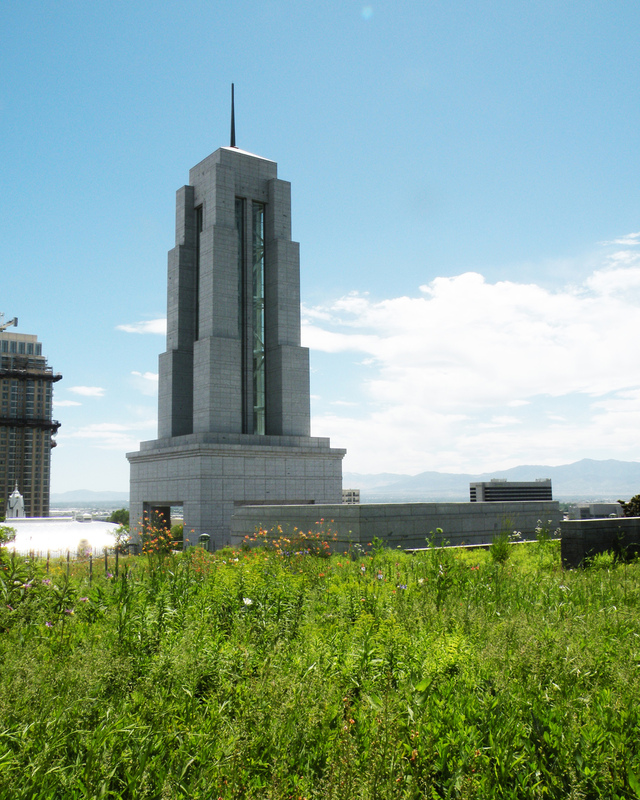 Remarkably, that memorable August day left the project relatively intact, including the structure's most unique feature — a 70,000 square foot rooftop meadow. 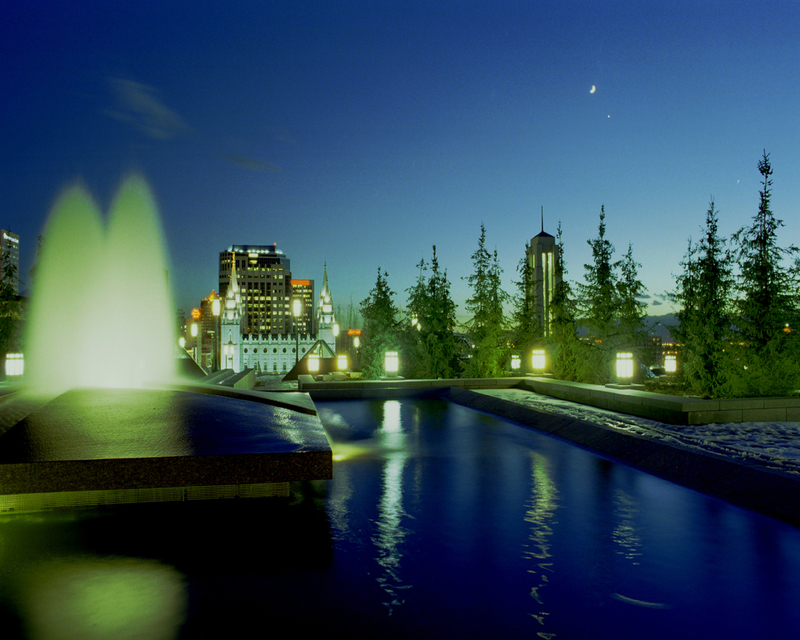 Hydrotech was the single-source solution to a plethora of lofty expectations and challenging details. In fact, the product’s performance was so exceptional, MM6125 was also applied to the 100,000 SF roof area adjacent to the meadow, and to the 100,000 SF of below grade vertical walls.